The kids are back in school and yes, you miss them. But you probably also miss the "you time" that you gave up over the summer to keep them occupied and entertained. This is the perfect time of year to plan for personal days and girlfriend getaways. Whether you need to get away for an hour, or a couple days, your ideal escape is a lot closer than you think. 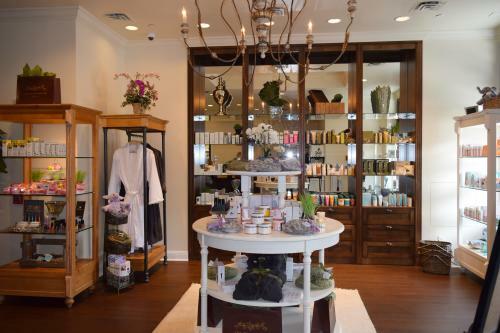 Dunwoody, Ga., is just 10 miles outside of Atlanta, and conveniently it is also home to an award-winning spa that is calling your name. 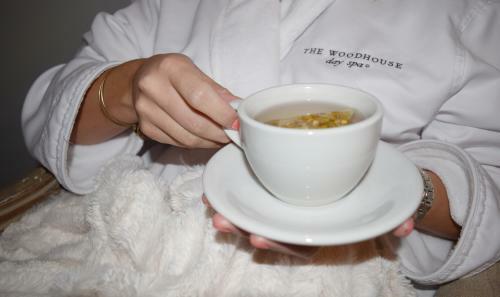 Unexpectedly nestled within the hustle and bustle of Perimeter Mall lies Woodhouse Day Spa, a completely tranquil ladies lair full of sensual surprises. Once you enter, you will be greeted immediately and escorted to the service(s) of your choice. Feel cloud-like comfort from the soft-billowy Woodhouse robe and its accompanying reflexology sandals designed to alleviate any and all stress. Enjoy smooth sips of a loose-leaf tea of your choice. Bask in the mood music and lighting that surrounds you in the Quiet Room. Everything already sounds absolutely amazing, right? And we haven&apos;t even begun describing the services yet! The Warm Agave Nectar Pedicure: Warm Agave Nectar just sounds like Earth&apos;s most lush natural oil. It smells and feels that way too. First they lightly drizzle it over your legs and feet, then they massage it in from your heel to your knee. By the time they are finished, your skin looks and feels like it did when you were a baby. To top it off, they paint your toes with a pretty color of your choosing. This whole treatment lasts for a total of 50 glorious minutes. 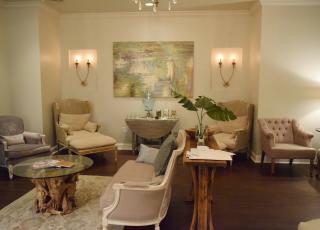 The Woodhouse Hydrafacial: One word: anti-aging. This facial infuses your skin with all these fancy ingredients like peptides, antioxidants, and hyaluronic acid. Probably all derived from the fountain of youth. The results are immediate and your skin will have a sun-kissed glow for WEEKS! Sometimes all you need is a quick and spontaneous escape from the every day. Other times you need to check in at a hotel for an elongated retreat. Dunwoody&apos;s location makes it an easy destination for either scenario - so you can spend less time traveling and more time relaxing. Get away with a significant other, or significantly spoil yourself. With plenty of options for shopping, dining, and relaxing in prefect proximity to each other, getting away has never been this easy.